i totally fell in love with this yarn when i saw it at a stall at the schwabsburger wollfest in june 2012. it has rayon, tencel and angora and is just unbelieveably soft! a lady at this stall had knitted the „wellen in pink“ pattern with it, which i hadn’t seen at ravelry yet, but which looked perfect in combination with this lush yarn. so it was settled: i bought two skeins of filace lucca, looked up the pattern at ravelry and started knitting the same day! this is the result which was gifted to my boyfriends mum as a birthday present. pattern: wellen in pink by sue berg. easy enough to knit in front of the television but exciting enough to keep you from getting bored. perfect. 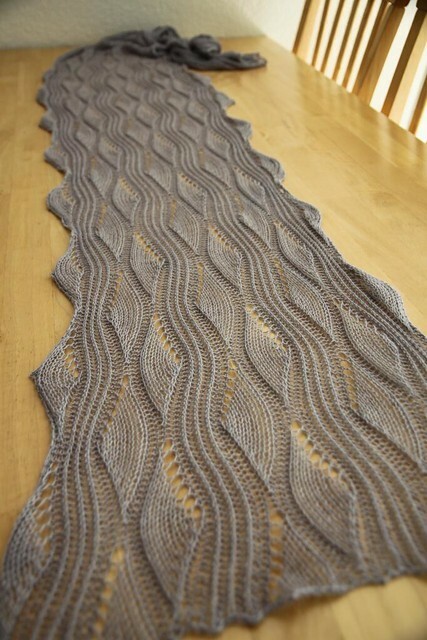 i cast on 79 sts and knit 13 pattern repeats in total. one skein was about enough for 8 pattern repeats. 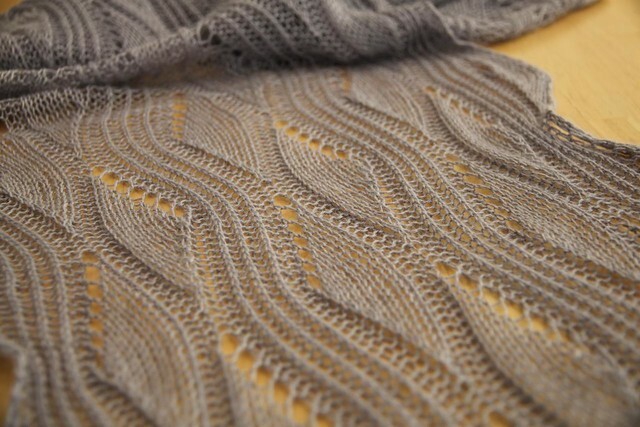 yarn: filace lucca, 60% rayon / 25% tencel / 15% angora. 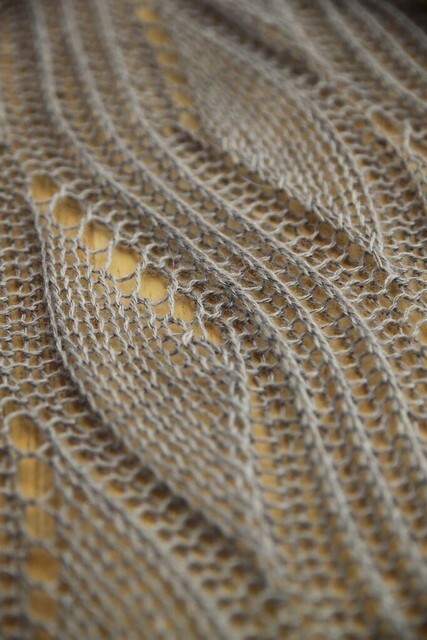 it is great to knit with and increadibly soft and cosy on the skin. only downer was that it is really fussy (because of the short staple length of the angora i guess) and my complete front was covered with lint when i knit. i made sure always to have a lint roll nearby, otherwise i would have spread angora hair all over our flat! 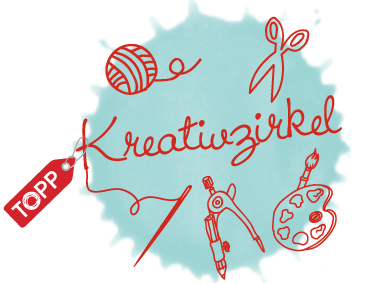 Ich schreibe jetzt für den Kreativzirkel!